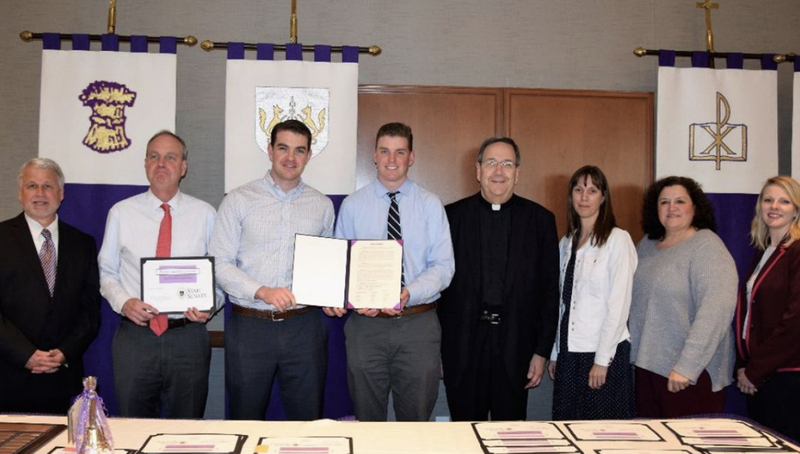 Meg Cullen-Brown's family receiving the proclamation regarding the renaming of the Spirit Award to the Meg-Cullen Brown Magis Award. This originally appeared in the Staff Senate newsletter, which you can find here. The Meg Cullen-Brown Magis Award has been a wonderful way to recognize and honor our coworkers who exhibit our Jesuit ideal of “men and women for and with others.” In May 2018, at the Staff Senate End of the Year Luncheon, it was announced that the former Staff Senate monthly Spirit Award would be renamed the Meg Cullen-Brown Magis Award and the first recipient of this newly-titled award would be selected in June 2018. The University’s Staff Senate encourages all staff to participate in the nomination process and remind friends and colleagues to consider nominating an individual who they feel has positively impacted our University community, and consistently follows our mission and purpose. Read more from the Staff Senate newsletter, here.